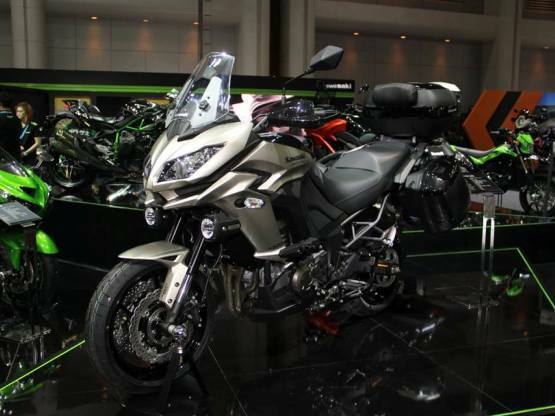 As we have reported you earlier that the Kawasaki Versys 650 was imported in the country for homologation purpose, and it is expected to make its debut by mid of 2016. Recently, at Thailand motor show 2015, the Japanese manufacturers revealed this India bound 650cc bike. We expect the bike to come domestic market via Complete Knock Down (CKD unit) unit. With the Versys 650, the Japanese maker will be targeting those Indian buyers who are into weekend getaway rides. 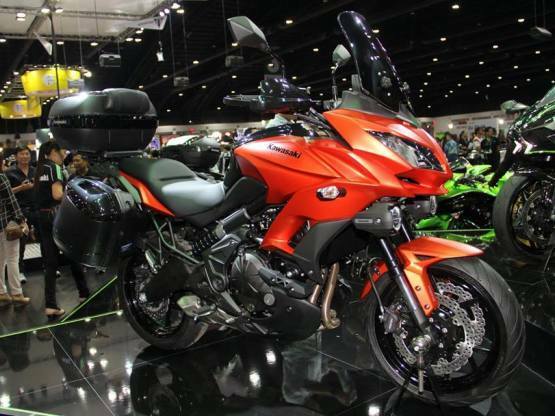 Last year, the company introduced the Versys 1000, which is comparatively bigger in size and impractical for Indian buyers. In order to reach maximum touring enthusiasts, the Japanese maker is now planning to enter into the middle-weight touring bike segment of the country. Powering the Kawasaki Versys 650 is a 649cc parallel-twin liquid-cooled fuel-injected engine that churns out 68.1bhp of power at 8500rpm and 64Nm of torque at 7000rpm. This engine is coupled to a six-speed gearbox which sends the power to the rear wheels via a chain drive. The company is yet to announce the exact launch details of the bike, but we believe that the vehicle will be launched by this festive season. It is expected to be priced around Rs. 5 lakh in the Indian market and will rival against the Benelli TNT 600GT.